We work directly with family farms to provide locally and sustainably-raised meat to the Pioneer Valley. 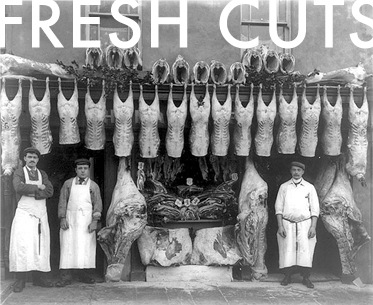 To honor the effort and care our farmers put into raising their livestock, we are committed to using the whole animal by serving not only fresh cuts of meat, but also an assortment of sausages, charcuterie, deli meats, smoked meats and stocks; all made in house. We are dedicated to providing residents of our community with an opportunity to savor the bounty of humanely-raised meat from neighboring farms. We believe that a happy and healthy animal raised in its natural environment makes for better tasting, fuller-flavored meat. DUE TO POPULAR DEMAND, ROTISSERIE CHICKENS AVAILABLE MONDAY-FRIDAY IN TWO SHIFTS! CALL BY 3PM TO RESERVE 2nd SHIFT, THEY GO QUICKLY!